Metroid Dread may not have ever truly existed, but Nintendo was thinking about it. The Metroid series hasn't returned to its 2D roots in over half a decade, which has fueled rumors for years that a 2D Metroid game for the Nintendo DS codenamed Metroid Dread was in development somewhere deep inside Nintendo. 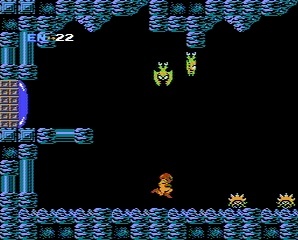 Nintendo veteran Yoshio Sakamoto has been a key figure in the development of nearly every Metroid game to date, so he'd obviously be someone with behind-the-scenes knowledge on the issue. Speaking with Joystiq at GDC, Sakamoto revealed that Metroid Dread did exist, in one form or another, and that a similar project could be possible in the future after the release of current project Metroid: Other M.
Sakamoto confirmed that discussions were held over the possibility of creating a 2D Metroid for the DS with a small team, but he says it was never called Metroid Dread. Sakamoto divulges: "Whenever people bring out that idea, we recognize that the basic concept is something that we can't say never existed." Though this project will probably always be referred to as Metroid Dread, it doesn't appear to have ever left the conceptual stage where it would have been given a name. Still, Sakamoto also dropped a tease, probably just to torture the 2D Metroid faithful: "At the same time, we can't of course, make any official comment about a Metroid Dread-like project coming out." This makes me feel like we've accomplished nothing here. Further, Sakamoto made an intriguing comment about the future of Metroid if Metroid: Other M were to sell a decent amount of copies, including the possibility of the inclusion of online elements. He said: "Our main goal [with Metroid: Other M] is to, as I said earlier, first raise knowledge about the Metroid universe and the Samus character before we start to introduce different elements like online or even going back to another handheld game for the next in the series. So there's nothing coming immediately, we want to think about these new challenges first." He ended with: "But, of course, we never say never." The bottom line is that if the world wants to see more Metroid, and wants its Samus to be composed of only two dimensions, the purchase of Metroid: Other M may be mandatory. Still, even if Metroid: Other M isn't a sales monster, I would hope Nintendo would experiment with another Metroidvania-style title starring Samus in the future.